Manufactured with the latest technology the Apollo Kitchen Tap by Mayfair is a next generation tap that makes your kitchen look more sophisticated and stylish. Having a solid brass body, the sturdy and robust tap comes with a chrome finish to provide it with a sleek and glistening appearance. 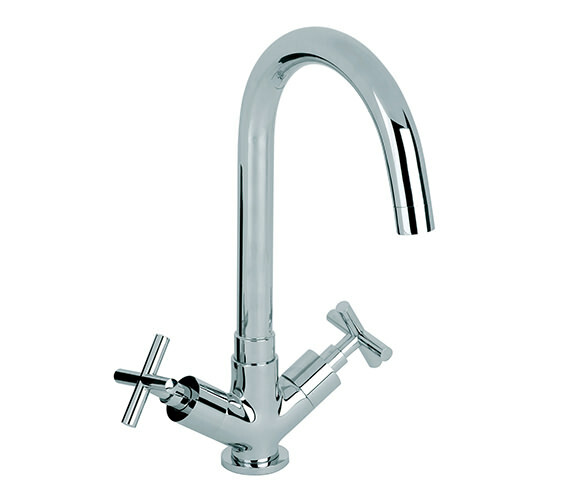 The long, swan-necked swivel spout and crosshead levers of the kitchen tap increases its functionality. 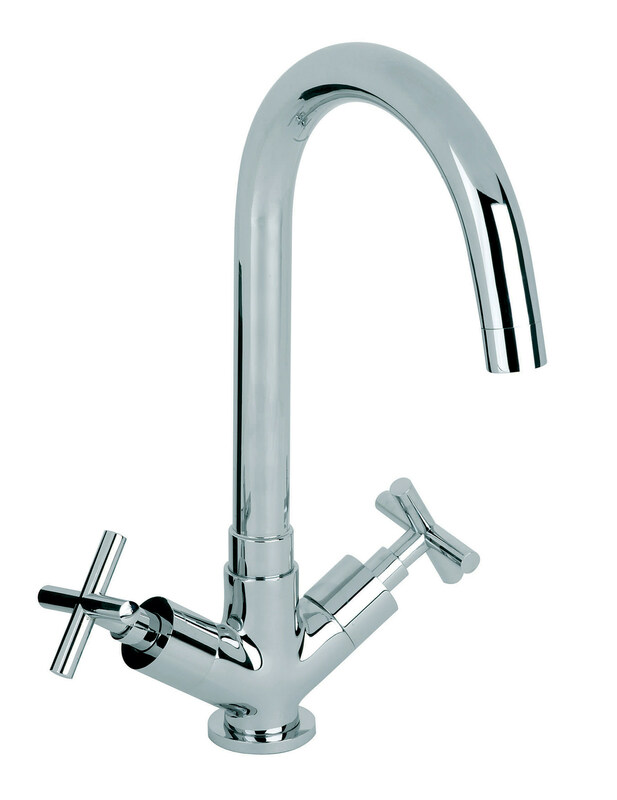 The robust and attractive tap is easy to clean which makes it ideal for use in a busy modern kitchen. Works on a minimum pressure of 0.5 or above. 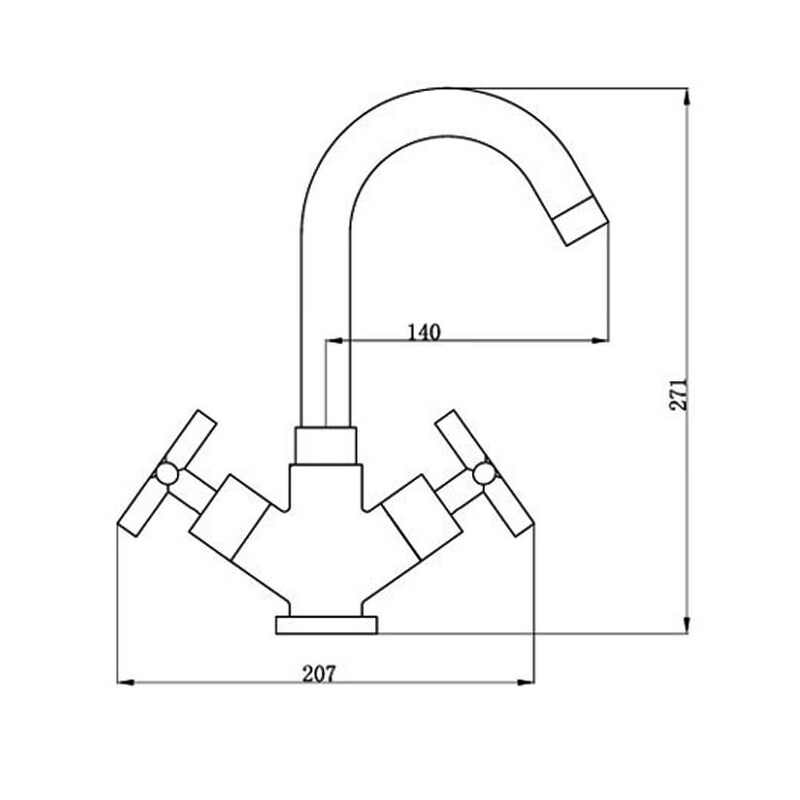 Does this Apollo sink mixer tap have flexible tails or copper, and how long are they. If copper, are the tails 15mm, suitable for isolating valves? Thank you for your enquiry. The tap is supplied with flexible tails and they are 35cm in length (15mm connections to the mains). Hope this helps.